The only iris we didn’t see last month was the white one. I wasn’t worried though. Last year was its first year blooming and it came late. Yesterday, we spotted this guy opening. 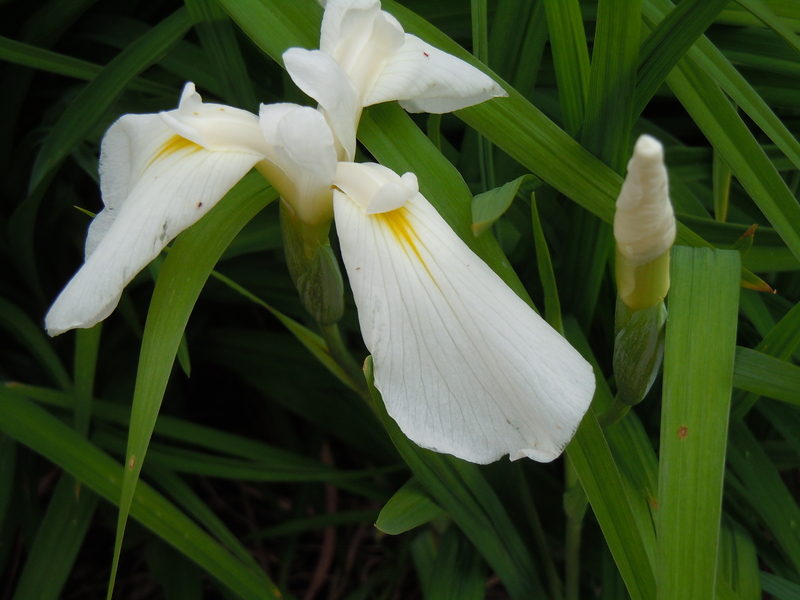 It’s actually a second white iris that I planted last October, so this is its first year blooming. It’s a wild variety, very small and dainty. It has two more buds that will probably open this week. 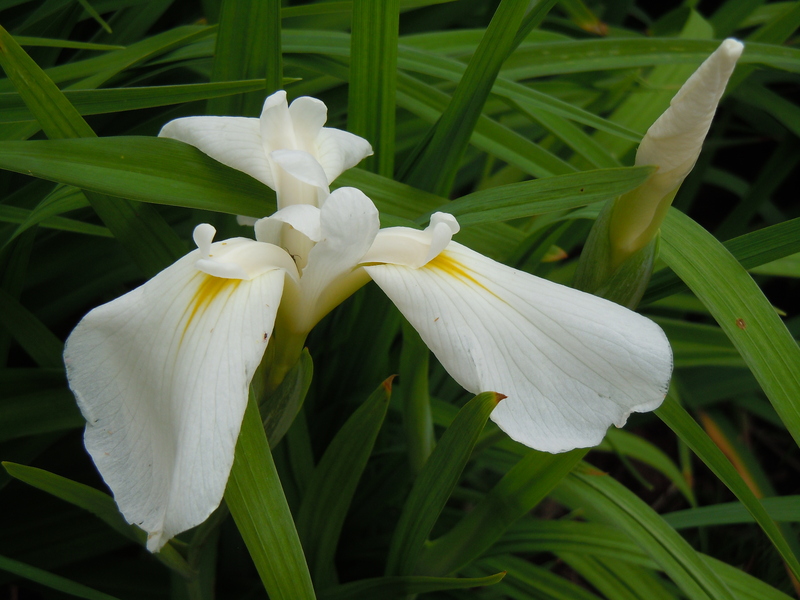 And hopefully our other white iris will bloom next month.